Sony has officially unveiled its 3D-toting Bravia HX803 television, and will be bundling it with 3D Sony PlayStation games. Billed as a 'launch model' for 3D, ahead of the 2010 World Cup in which Fifa has picked out Sony as its 3D party, the Sony Bravia HX803 and the LX903 will come with stereoscopic PlayStation games bundled. Sony also confirmed that it would be bundling 'exclusive 3D Blu-ray disc movies with selected Sony 3DTVs and Blu-ray players'. 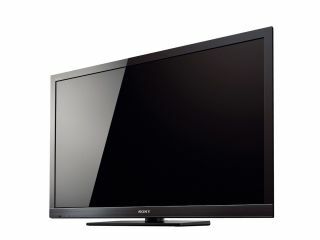 "Built upon Sony's very latest 200Hz high frame rate technology that allows viewers to see 3D in full High Definition 1080p fidelity, the High Definition 3D image is further enhanced with the inclusion of 'High Speed Precision, 'LED Boost' and '3D up conversion', three technologies unique to Sony and designed to make the 3D image even clearer and brighter and the 3D experience even more exciting," said Sony's release. The televisions use active 3D glasses, so fairly expensive if you want more than the two sets and 3D transmitter that will be available "to complement the new HX803 3D launch model' but only for a limited time. The LX903 comes with a transmitted built in and glasses as standard, and may be bundled with the likes of Cloudy With a Chance of Meatballs and Deep Sea Blu-ray 3D discs. And should you happen to live somewhere other than the UK, which won't be getting 3D World Cup broadcasts, then both 3D TVs are capable of adding a little depth to the summer's footy tournament.